Xander Schauffele watches his drive during the final round of the WGC-HSBC Champions. The first World Golf Championships event of the new season finished on Sunday in China. What did you miss? We're here to fill you in. 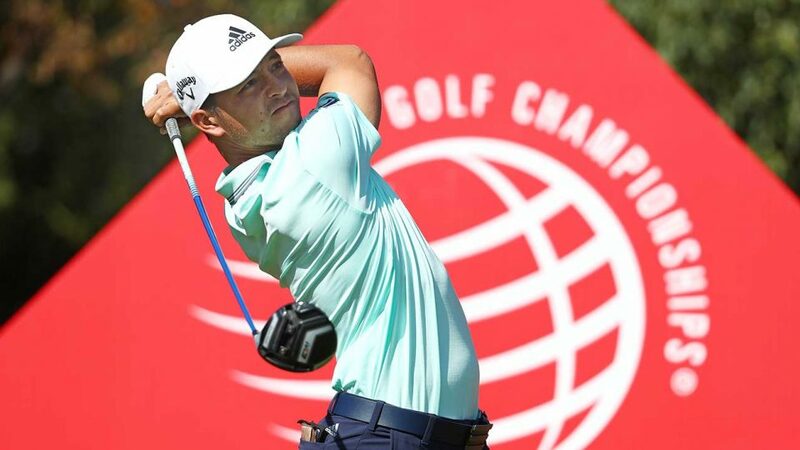 Who won: Xander Schauffele (14 under, first playoff hole) Why it matters: The 25-year-old has now won three times on the PGA Tour, although this is his first World Golf Championships victory. Runner-up Tony Finau has finished second four times since the start of the 2016-17 season. How it happened: Schauffele birdied the final two holes to shoot a four-under 68. Finau, who held a three-shot lead heading into the final day and was with Schauffele and Justin Rose in the final group, also birdied 18 to shoot 71 and tie Schauffele at 14 under. Playing the par-5 18th for the playoff, Schauffele found the fairway and then reached the green in two with a five-iron. Finau found the bunker off the tee and had to scramble. Schauffele two-putted for birdie while Finau's tying chance from the fringe missed. https://twitter.com/PGATOUR/status/1056466207170162688 Notables: Rose finished alone in third at 10 under, and first-round leader Patrick Reed tied for seventh (five under) after shooting 77 on Sunday. Jason Day was T11 (four under), Brooks Koepka T16 (two under), Dustin Johnson T30 (three over) and Rory McIlroy T54 (10 over). Best quote: “When I was signing my card, I was like, 'Oh, wow. I actually went birdie-birdie to get in the playoff.' I was just in my own world out there.” - Xander Schauffele Best rules ruling: Schauffele's ball was knocked into the water on the 72nd hole on Sunday, but luckily he had the Rules of Golf on his side. Best shot(s) when it mattered: Finau led by one with two to play, but Schauffele drained an 18-footer for birdie on the par-3 17th to tie him. Only four players made birdie on the 17th on Sunday. https://twitter.com/PGATOUR/status/1056450931808595968 Best closing round: Xander again! No one topped his Sunday 68. Koepka and Francesco Molinari both shot 69. Up next: The Tour heads back to the States for next week's Shriners Hospitals for Children Open in Las Vegas.